While arthritis has no cure, you can still get effective relief from pain and delay the progression of the condition. 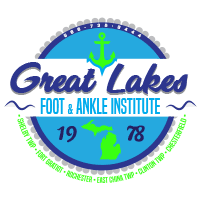 At Great Lakes Foot and Ankle Institute PC, you can meet with a top-rated podiatrist who designs a personalized arthritis treatment plan, based on your specific type of arthritis. Book your arthritis evaluation at the practice’s Chesterfield, Clinton Township, Fort Gratiot, East China Township, Shelby Township, or Rochester, Michigan, location today. Schedule online or call your nearest clinic. Why do I have arthritis? Arthritis is a term used to describe over 100 types of inflammatory conditions that affect your joints. When you have arthritis, cartilage and supportive tissues that protect your joints start to break down. Without this cushioning tissue, your bones begin to rub against one another. The longer you go without proper arthritis treatment, the more debilitating the condition can become. It’s important to understand the signs and symptoms of arthritis and start treatment early before arthritis lowers your quality of life. Arthritis that develops in your feet and ankles can even make it difficult for you to walk or stand comfortably. Whether your arthritis symptoms are just an occasional nuisance or seem to affect you daily, the expert podiatrists at Great Lakes Foot and Ankle Institute PC can treat you. If you have severe arthritis, or if conservative therapies aren’t enough to relieve joint discomfort, it might be time to consider arthritis surgery. The skilled foot and ankle surgeons at Great Lakes Foot and Ankle Institute PC use minimally invasive arthroscopic measures to remove damaged tissue, repair damaged joints, or fuse your bones together. Your arthritis surgery is tailored to you. Learn more about effective arthritis treatments offered at Great Lakes Foot and Ankle Institute PC by scheduling an exam. Book online or over the phone with your most convenient office.